This bitter green will be your fall go-to. 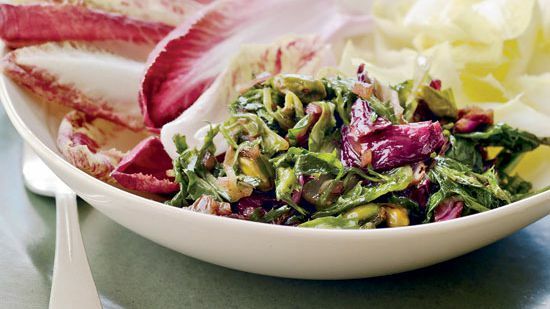 Chicory, a bitter green that is rich in potassium and magnesium, is great for everything from salads to pasta. Here, seven tasty ways to use chicory this season. 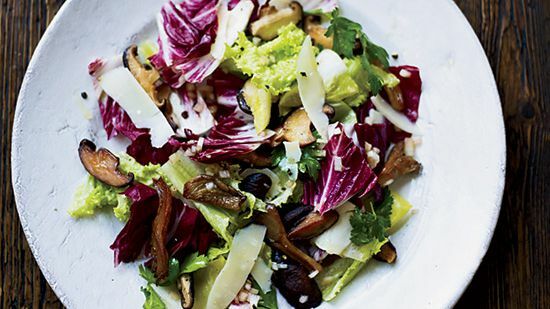 This hearty salad screams fall. 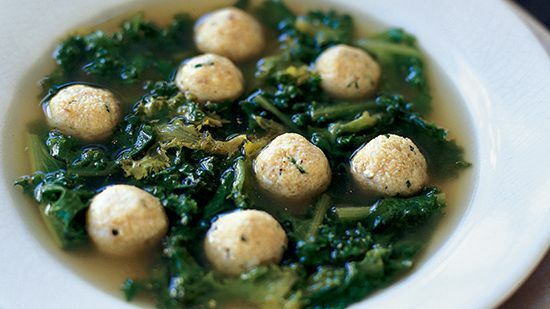 Like so much of the food from Molise, this soup is satisfying and easy to prepare; the dumplings, a mixture of two cheeses, bread crumbs and herbs, make it a main course. 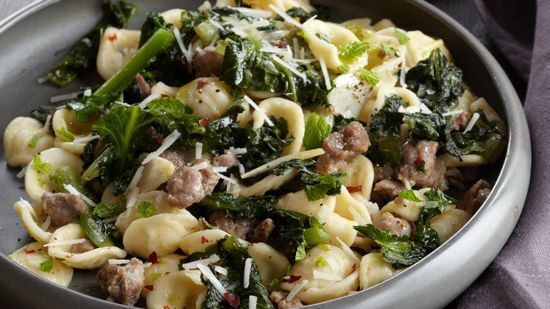 Chicory gives this slightly spicy pasta a pleasantly bitter edge. 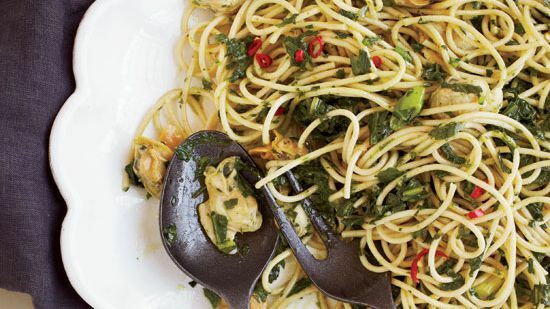 This take on linguine with clams feature pasta made with kamut (an ancient variety of wheat) tossed with bitter chicory and a bright parsley sauce. 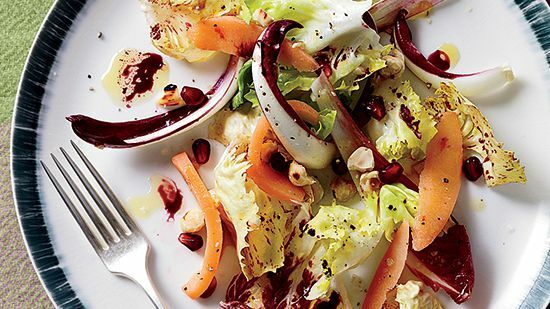 Chef Jan Birnbaum makes this piquant salad with two kinds of Belgian endive and chicory. 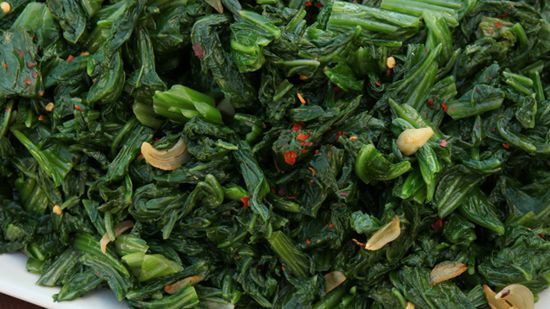 These days, chefs love to add pickled ingredients to their salads. Chef Michael Tusk pickles quince with ginger, spices and white wine vinegar; the strong sweet-tart flavors would overwhelm delicate lettuces, but the bold, bitter greens here are just right.